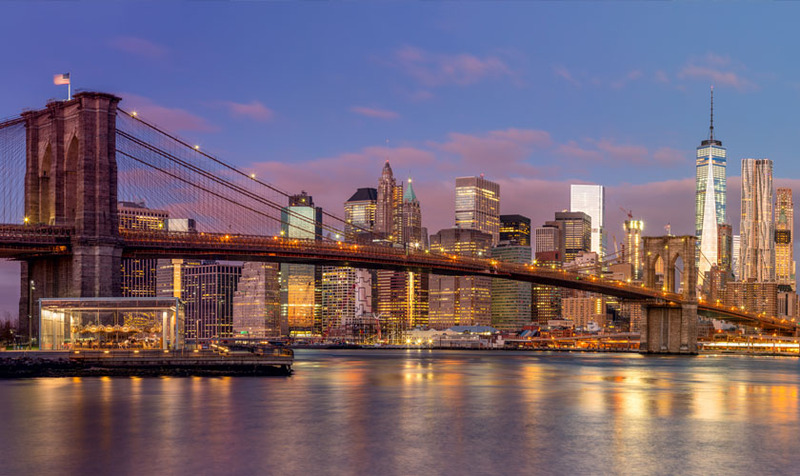 On this tour, learn the story of the Brooklyn Bridge and the immigrants who worked tirelessly to build it, underwater in “caissons.” A national landmark and one of the oldest bridges in the United States, the Brooklyn Bridge connects Manhattan and Brooklyn, stretching 1,595 feet across the East River. The bridge took 14 years to complete with the help of 600 workers. 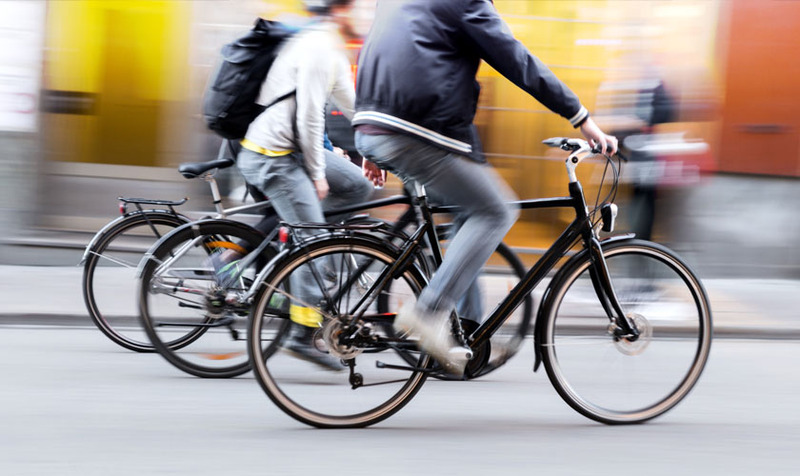 Construction cost roughly $15 million, which today exceeds $320 million. The construction of the bridge resulted in two dozen deaths, including that of John Augustus Roebling, the original designer and a pioneer in the innovation of steel suspension bridges. After more than 125 years after its completion, the Brooklyn Bridge carries approximately 150,000 vehicles and pedestrians daily. The bridge is unique in design as it utilized both steel cables and stone piers. The exposed industrial facade was unprecedented at the time. It was the first bridge that utilized caissons, large and bottomless watertight boxes, during its construction. Most of the early construction occurred underwater as workers dug through the bottom of the river inside the caissons. Conditions in the caissons were harsh and resulted in many deaths and illnesses. “Caisson Disease” was a common affliction; when leaving the compressed air environment inside the caisson and coming to the surface too quickly, nitrogen bubbles would form in the workers’ bloodstreams. This was an unfortunate cost of building this incredible structure. 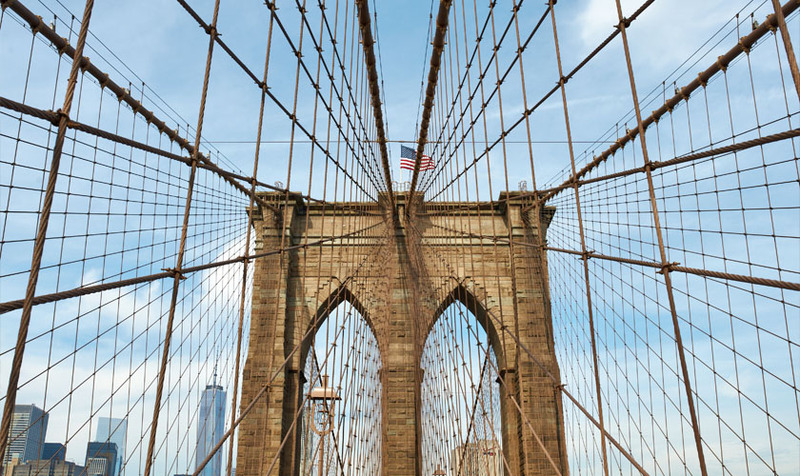 Despite a slew of unfortunate circumstances, the Brooklyn Bridge was opened with massive public acclaim in 1883. It was the tallest structure in the Western hemisphere for a considerable time and dubbed the “eighth wonder of the world”. 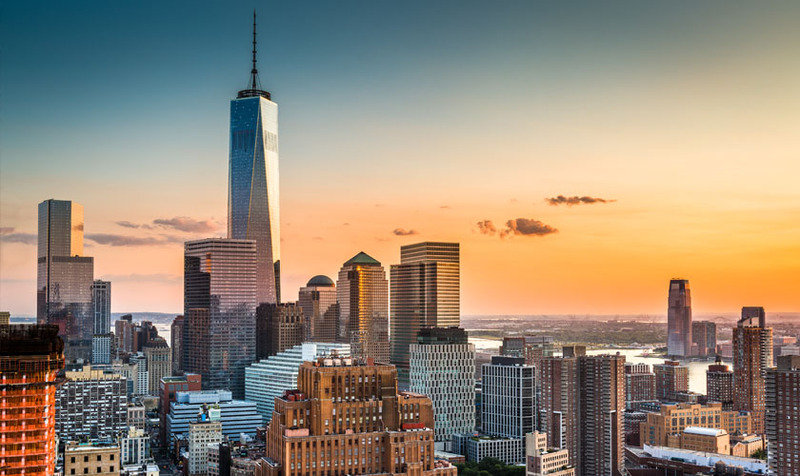 It encouraged business between both Brooklyn and Manhattan, bolstering the NYC economy. It is a proud symbol of innovation, hard work and opportunity for New Yorkers, and is an iconic attraction visited by tourists each year. 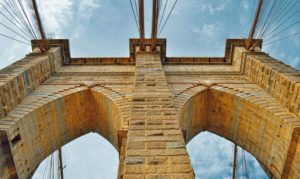 Learn more about this amazing structure by joining Venture on our Brooklyn Bridge tour today!